Embassy XO offers two beautiful spaces. 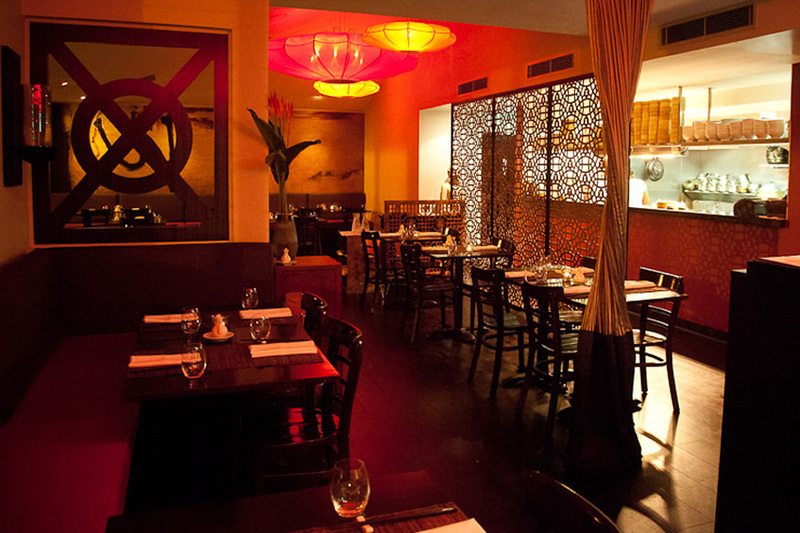 The gorgeous dining room boasts majestic red and orange Chinese lights, dark furnishings and striking red highlights, creating a moody ambiance. Executive Head Chef offers an impressive menu of modern Asian dishes, which he refreshes each season. The cuisine weaves its way through the provinces of China and South East Asia, and is expertly balanced in flavours, textures and exciting spices. 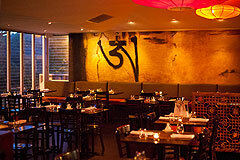 XO is known as a ‘must do’ destination restaurant. Embassy’s dinner menu is a delectable delight, offering a number of banquet options incorporating a selection of entrees, mains, sides and desserts. Yum Cha is available every Friday, Saturday & Sunday from 12noon until 2pm. The restaurant also offers a delicious $49 three-course XO Night Menu (everyone is welcome) every Wednesday and Thursday evening which includes a premium wine or beer. 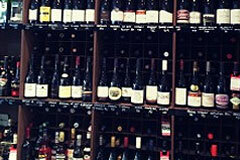 Alongside the restaurant, the wine bar offers an impressive wine list and a great cocktail menu. Glass French doors open up to a balcony offering ocean glimpses and capturing the summer breezes. In Winter the fireplace creates a warm, intimate space to relax and unwind. Embassy XO is the ultimate function, special event or wedding venue. 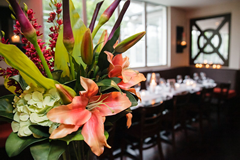 The elegant dining room and cosy wine bar are independently available and the kitchen can create a menu to suit any event; whether it is cocktail or sit down, in either a banquet or Yum-Cha style. 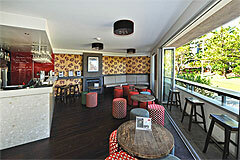 Embassy XO is part of the XO Group, including two XO Cellars, one located on the street level of the Sunshine Beach restaurant and the other at Noosa Fair, Noosa Junction.